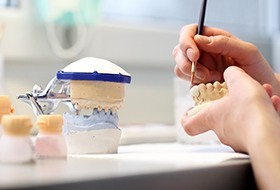 From routine services to more complex treatments intended to restore and replace damaged teeth, you’ll experience quality in absolutely everything we do. Dr. Whitaker has invested in some of the latest dental technology to help her provide more precise and comfortable care, and she only uses the most advanced materials that are guaranteed to look great and last for many years to come. Your smile only deserves the best, so that’s exactly what you’ll find through our doors. 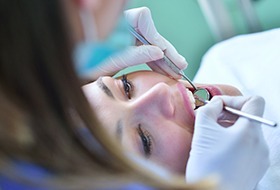 Have you avoided going to the dentist for years because of a bad past experience? Afraid you’ll feel pain or like you’re trapped? If so, you’re far from alone, and Dr. Whitaker is prepared to help you by offering IV sedation. She is the only dentist in the area with the special training to administer it, and it will help your dental fears quickly melt away in a sea of relaxation. For many, it’s just what they need to overcome that last barrier between them and a healthy smile. 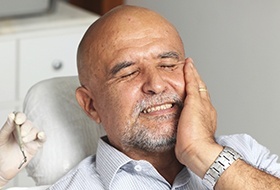 When you or a loved one are experiencing a lot of dental pain, you need relief right away, and Corbin Family Dental Care is ready to provide it. If you find yourself in the middle of a dental emergency, just give us a call, and we’ll work to see you as quickly as possible. We’re often able to see patients the same day that they call in, ensuring they get what they need in record time. Adults, children, and seniors are all welcome to Corbin Family Dental Care! We just love getting to know entire families and putting them on the path to optimal oral health. 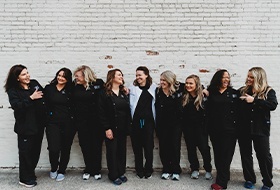 Our friendly and professional staff have years of experience with patients of all ages, so whether we’re giving a young child a checkup or talking to you about dental implants, we can ensure that every patient walks out of our office with a healthy, beautiful smile. 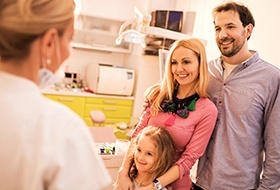 Quality dental care should never put a financial burden on someone and their family, and that’s why we’re happy to help our patients finance their dental care using affordable, easy to understand payment plans. Through our partners at CareCredit, our patients have access to a variety of low-to-no interest plans that are designed to work with any budget, and you can even sign up for one today through our website with just a few clicks. If you talk to any of our patients, we can almost guarantee that they’ll mention just how friendly and helpful our team is. Whether they are scheduling your appointments or giving you a dental cleaning, our team will treat you like a member of the family from check-in to checkout. They’ll make sure your appointments are always smooth and stress-free, and we’re sure you’ll learn to love them starting at your very first visit.